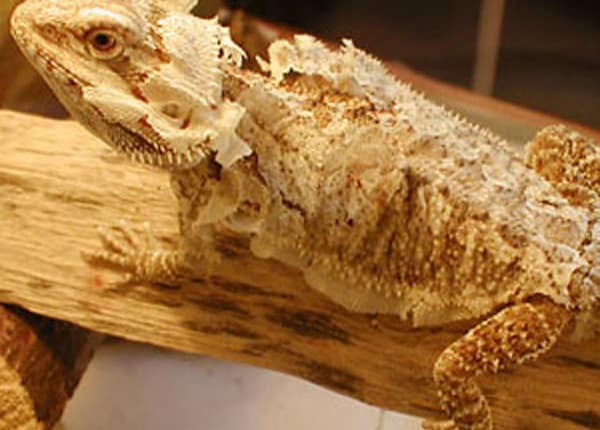 Lighting is one of the most important features in bearded dragon care. The best UVB light is a ReptiSun 10.0 fluorescent tube (Or Arcadia 12% in the UK). Compact or coil bulbs do not emit the proper amount of UVB light for a bearded dragon, and should not be used. UVB lights should be replaced every 6 months. Is there a difference between UVB and UVA? Yes, UVB rays are a shorter wavelength than UVA rays. UVB rays are from the sun, and they are what cause you to tan. Beardies need UVB rays to process D3 and calcium. How should I mount my UVB light? Screen filters out UVB light, so the best way to do it is to mount the light inside of your cage. You can easily do this by purchasing an under-the-counter fluorescent fixture and 3M command hooks. Just stick the hooks on the back wall of your cage, and hang the light fixture from them.How many watts should my basking light be?Since there are a number of things that can affect the temperature in the cage, such as the size of the cage, how well insulated it is, how far away the basking light is, the room temperature of your house, etc. there isn’t one light bulb that will work for everyone. For a 40 gallon, flood and halogen bulbs (45watts) would be best. In a wooden 4x2x2, flood lights (30-45watts) are best. Lights are not necessary on the cool side, but they can be helpful. Additional heating may be needed at night if the temperature drops below 65F. Digital thermometers and infrared temperature guns are the most accurate way to measure temperatures as measuring the temperature are convenient for both the owner and the pet. The cool side should be between 75-85F. For an adult, basking sports should be 95-105F. Babies and juveniles like it hotter at 105-110F.